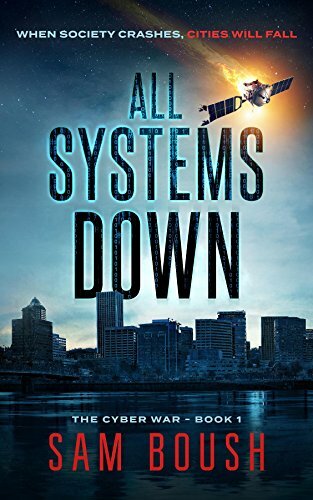 All Systems Down, a cyber attack cripples America, and a group of strangers comes together to fight back. On one level, it's just a lot of fun. It's edge of your seat, heart-pounding, cinematic entertainment. That level would be enough to recommend it, but I'm happy to say there's a deeper level. The pacing is perfect, the dialogue is spot on, the writing itself is beautiful. It becomes clear early on that this writer knows what he's doing. This doesn't read like a debut. Boush is talented. The cast of characters is ethnically diverse without making an issue of it. They challenge stereotypes; the female pilot and fierce mother are only two of the strong women who make up this story. There's a character who seems to be on the Autism spectrum, though it's never explained quite that way and the reader finds herself questioning who decides what behavior is "normal." The story is told in alternating first-person narratives and the reader gets to know and care for each of these original characters deeply. What this story says about human nature is sort of heart-breaking: we're our own worst enemies. When the nation is under attack, the lawlessness of fellow citizens becomes one of the greatest threats. A few chapters in, I began worrying about whether I have stored enough emergency water. This is a cautionary tale that seems so plausible, it will haunt you. I enjoyed every moment of this fast-paced read and look forward to the next novel. Here's my interview with Sam Boush for Today'sAuthor.